摘要 通过深化校院合作、专兼职师资队伍建设，从课程体系设置、教学方法改革、教材建设、教学管理和质量评价等方面着手，我们以江西中医药大学科技学院为例，初步建立了与职业岗位能力对接的模块化课程体系，为医药类独立学院实现差异化发展，进而实现向应用技术型转型发展提供有益借鉴。 Taking science and technology college of jiangxi university of traditional Chinese medicine for example, we preliminarily established modular curriculum system which was connected with occupational capacity by deepening cooperation among colleges and buliding faculty with highly qualification. We accomplished the curriculum system by setting the curriculum, reforming teaching method, constructing teaching material, strengthening teaching management and quality assessment. 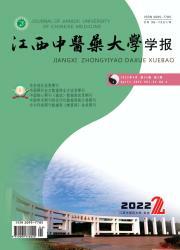 It will provide a useful reference for the independent college of medicine to realize the differentiated development. In addition, it will provide beneficial advice for the college to accomplish transformation to the type of applied technology.